Indeed, women are full of power and energy. Sunday, 06th November, 2016 was a day to remember, as thousands of Indian women created history when we together, as a team attempted the abdominal plank for 60 seconds. Isn’t that remarkable? The event was being organized by Puma at the Jio Garden, BKC, Mumbai. The registrations began at 3 PM and I reached the venue with my mom and a blogger friend. We were indeed excited. After registration, we moved on to practice the plank position before we attempted the screening. Everyone at the event were busy doing the same, posing for the camera and making memories. 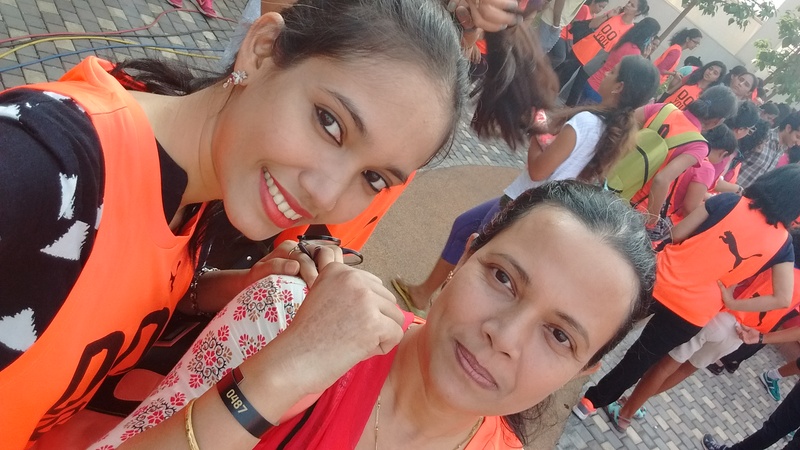 It was a great sight because all the participants were women and the entire atmosphere seemed energetic, lively and full of orange people, yeah, we were all provided an orange Puma sports T-shirt for the attempt. 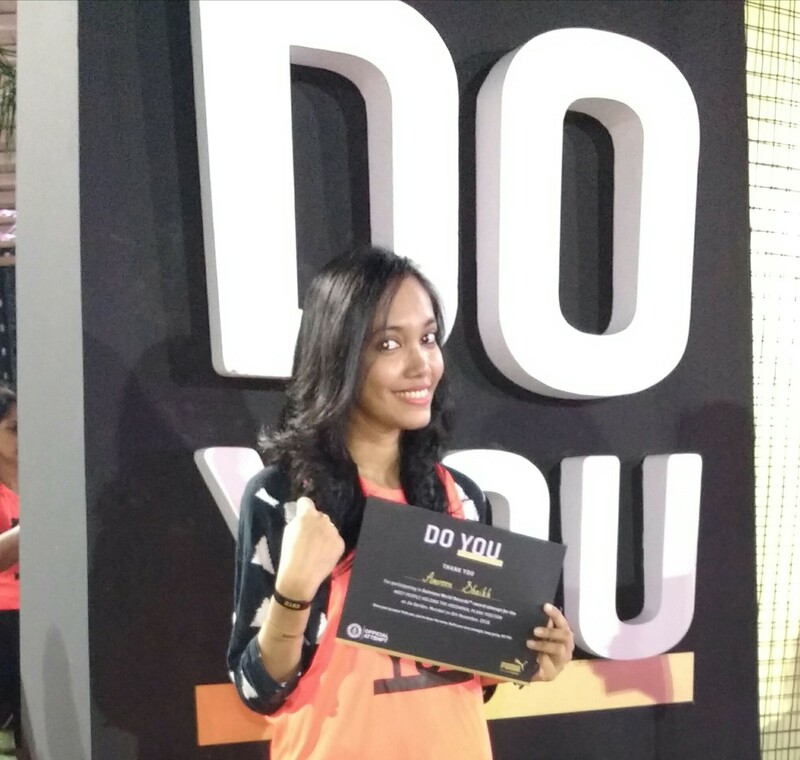 PUMA’s #DoYou campaign aims to inspire confidence in women across the globe to do what they want to do. It is about women expressing their core strength that stems from their inherent beliefs and individuality. During registrations, we had received a black band and if we cleared the screening (completion of 60 secs abdominal plank in front of the volunteer coaches), which we did, we received a golden band for attempting the actual record with other selected participants. It was a great moment for me when I cleared the screening, but it was also memorable because my mom also cleared the round and we were going to bring about history together. Awesome! Before we all could actually attend the abdominal plank at 6 PM, we had a fun session with RJ Mallishka and were inspired by other known sports enthusiast and Bollywood Celebs like Sakshi Malik, Kalki Koechlin, Sucheta Pal, Ujjwala Raut and Jacqueline Fernandez respectively. There were also renowned Television Celebs who graced the event and all these beautiful ladies were to attempt the abdominal plank with us to create a world record. A few minutes prior to the record making moment, we were all a bit tensed as we wanted to make it in the first attempt. 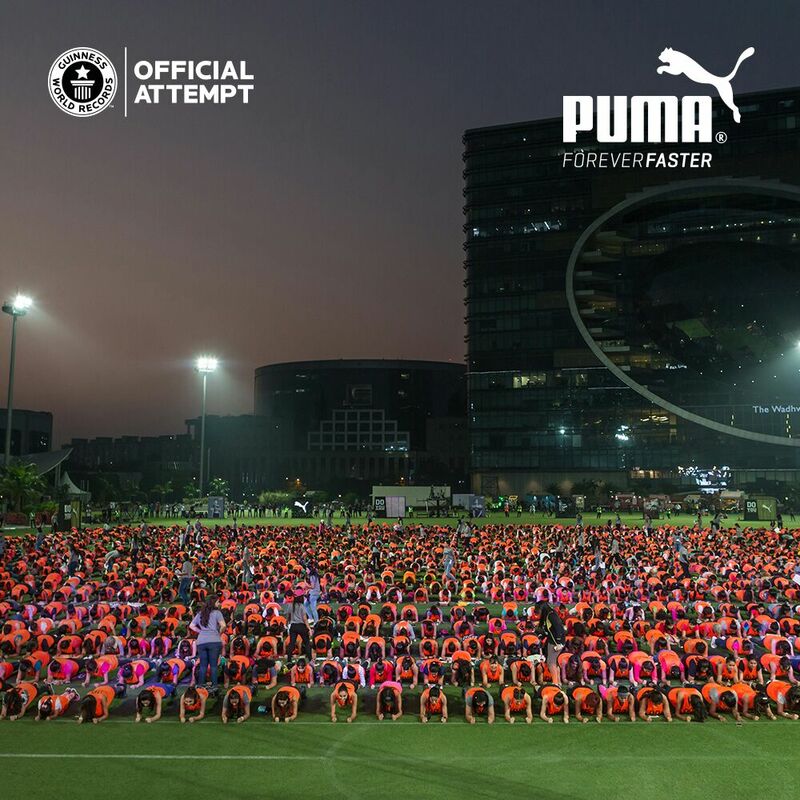 We were told by the Manager of Puma that the current Guinness World Record was with China where 1323 people, inclusive of men and women attempted the 60 secs abdominal plank together. Here, we were 1900+ women trying to compete and achieve the record. The moment came and we all did our best to sustain the abdominal plank for 60 secs- Celebs, TV personalities, Sports Enthusiasts, Working women, Housewives, women from all walks of life attempted and completed the plank, thus making a World Record. It was one great moment to remember and cherish. All of us received an official Certificate from Guinness World Record in association with Puma and also a gift voucher of 1000 INR. I thoroughly enjoyed the event and the record making with my mom, friend and other such women, and witnessed the true power of women. Have you attempted the abdominal plank? Were you among the ones who achieved the Guinness World Record for Abdominal Plank? How was your experience? Share your ideas and views in the comment section. Super experience. The whole atmosphere was filled with enthusiasm and energy. Loved the vibrations and am super happy to be a part of it. Previous Previous post: How to design your home with these modern piece of furniture! Next Next post: 5 makeup must-haves to stay beautiful on-the-go!